I mentioned that Blitzkrieg Commander IV was being released at Salute last Saturday. Those of us with digital copies however managed to get our hands on it a couple of days sooner than those waiting on physical copies. It is much better than BKC III was. The army lists have been corrected, at least the ones I had a look at seemed to be better aligned with Historical organization and equipment. I’m looking forward to some downtime soon so I can read these in detail and maybe organise a little Soviet on Soviet action to test them out. I believe the hard copies of the rules are mostly in the post to those who ordered BKC III previously, us digital folks already have our copies. World War II micro armour has suddenly just become more interesting, just as I have a mountain of modern Poles and French to paint for Cold War Commander! This has, of course, cost Pendraken moneywise but again I can only applaud Pendraken for their commitment to quality. While Pendraken were originally hoping to have a corrected BKC III (called BKC III.1) over about a three month period they have taken the option of taking their time and doing it right, judging by the reviews I have read recently. It has taken nearly two years to correct BKC III and this correction will be released early in April 2019, at Salute, as Blitzkrieg Commander IV. 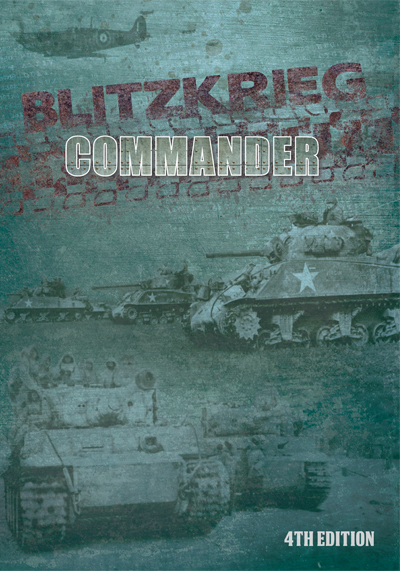 Blitzkrieg Commander IV contains 44 army lists and 15 scenarios. Pendraken also note that a Quick Reference Sheet, Optional Rules and further material can be found in the Blitzkrieg Commander IV section of the Pendraken Forum. Given the problems with BKC III I guess there will be some caution from wargamers about this new release, some reluctance to be early adopters of this version. I would also expect that many gamers who would have tried BKC may have, over the last two years, drifted off to other World War II wargaming rules. Recognizing the caution of gamers after the last release, I note that Pendraken have some reviews of the new rules out already from some veteran gamers and some who were rather critical of the previous release. Positive reviews have been provided by Mal Wright and Nik Harwood that I have seen to date. – You will already be in the replacement queue and don’t need to do anything. Your copy will ship out first, possibly before we leave for Salute but most likely on the Monday/Tuesday after the show. If you’ve moved house since April 2017, you’ll need to drop us an email with your new address. – Please contact us to let us know that you will be attending Salute and we will pull your original order from the replacement queue. We’ll bring your new copy along to Salute for you. – If you bought at Salute but won’t be attending this year, we’ll need you to either send us the cover of your BKC-III book, or a picture of it by email, along with the address that you’d like your replacement sending to. We apologise for the hassle involved in doing this, but it’s the only way for us to verify that you bought a copy of BKC-III. If you’re outside the UK, it’s probably easier to send a photo, but contact us if you’re having any problems. – If you’ll be attending Salute again this year, simply bring your copy of BKC-III along to the show and we’ll swap it for a shiny new copy of BKC-IV! If you’d like to keep hold of the previous rules for any reason, we’ll need to either remove the cover or mark the inside to show that the copy has been replaced. – You don’t need to do anything at all, you will receive your new pdf copy of BKC-IV through Wargame Vault automatically. We don’t have a confirmed date for this just yet, but you should receive your replacement pdf by Monday 8th at the latest. If there’s any queries on that, please let me know and we’ll get you sorted out. If you’ve already been in touch or given us your BKC-III cover, then you’re already in the replacement system and don’t need to worry. So, more power to Leon at Pendraken for doing not just a good thing but also the right thing for hos customers. I am looking forward to my copy arriving soon. Reading the Pendraken forum on the Blitzkrieg Commander III topic, Pendraken have made a final decision on what will happen with BKC III. The poll run in in the Pendraken forum was clearly in favour a full reprint of BKC III. As I have had a chance to look through the rules, finally, more closely, I can see why this is necessary. What would be the fix? What other areas of the rules would this fix impact on? What questions does this issue/fix raise? Lastly, Pendraken noted on the time they expect to take on this,”We want to get this done as quickly as possible, so we’re setting ourselves a timescale of 2-3 months to fix everything”. Personally I think that is a very aggressive target. I hope they can meet it but I expect it will drift as they get into trying to fix some of the rules that appear to be broken. Like many, I waited and looked forward to the arrival of Blitzkrieg Commander III. I have enjoyed playing versions I and II over many years, although I will admit, I’ve not played enough games as there was always something else to play, something new and shiny. I also played a bit of Cold War Commander and Future War Commander. I liked the rule system and the way the games flowed, permitting a narrative to develop. I purchased BKCIII online through Wargame Vault as my preferred method of dealing with printed matter these days is electronically. The hard copy version is available from Pendraken Miniatures, the new owners of the rules. A furore appears to have erupted over these rules. 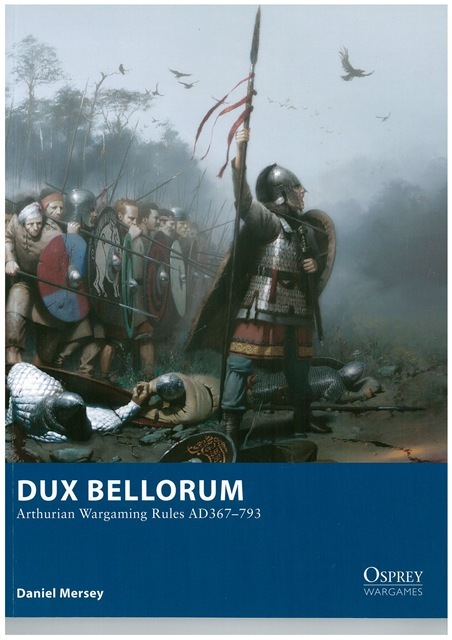 While there may have been a few errors through the rules, normal enough in published wargame rules, the major part of the furore appears to be around the Army Lists included in the rules, so much so that Pendraken Miniatures on their forum are holding a poll to see how folks want them corrected. obvious starting point is the army lists and at the moment I don’t have an answer to that question. The author spent hundreds of hours on the stats to put together the new army lists. When we received them we checked the basics, do the correct nations have the right kit, do the obvious vehicles/guns appear in the right areas, etc. We checked a bunch of units with their BKC-II equivalents and then put together some matching battlegroups using both old/new lists to see how much they differed points wise. Nothing glaring jumped out during that process. Other people went through them and brought back a few queries which were then discussed further and we made some edits. Clearly we didn’t do enough though. Being an old wargamer (sigh and getting older), I am still amazed at the way gamers get heated over lists. I come from a period of wargaming where if you didn’t like the list, you changed it based on your own research. This begs the question, are wargamers as a group doing less research these days than we did in the past? To be fair, I can remember the heated debates that erupted in the 1980s and 1990s with the various WRG army lists but if I wasn’t happy with a list, I changed it. If I could justify the change, my opponents generally accepted it. annoying number of errors that have managed to get through the extensive checking process, some a result of the last minute tweaks, others a lag over from the merging of BKC-II and the first BKC-III draft. Some simply mistakes. Again, way back in the 1980s we were used to rules being published and then errata sheets being issued. If I recall correctly even BKCI had one or two errata sheets issued. Not every change in the rules is an error however. I guess some of the complaints are because folks just don’t like some rule changes. If you don’t like them, then change them! the end result of all of this is that we’ve not done a good enough job and BKC-III is not up to the standard that everyone wanted it to be. They go on to point out the cost of the project so far, which is quite significant. Pendraken are calling for opinions on how to “fix” the rules/lists via an online poll and the two favoured options from folks so far are New PDF Lists and Complete Reprint. Personally I am comfortable with PDF lists (and errata sheet where needed) as I am used to this type of solution from the past. I would suggest to Pendraken that as they correct their errors, they can release a new PDF version of the rules to allow those of us with digital copies to have the updates in the rules. Printed copies have the advantage here as the updates can be written in the rules themselves. That will also become the source document for the time they decide to reprint. My biggest complaint however is that to vote you have to be logged on to the forum so must enrol. I am also a little unhappy that those voting for one solution or other may not have purchased the rules and therefore have no real experience of the problems. Oh, and one last comment – so far I don’t really have a problem with the lists. In fact, I purchased a Belgian Army the other night from Scotia Grendel Productions, based on the BKCIII lists. Update on 7 May 2017: OK, so I have had a chance to start to read the rules and the lists. Actually I started with the lsts, with the Belgian list in particular and the 47mm ATG the Belgians had 750 of is missing. A few more days reading this week then I might stay with BKCII until the fixes start appearing. DBA 3.0 – on the way! I spent 10 minutes over coffee this morning at the office and got around to ordering DBA 3.0. 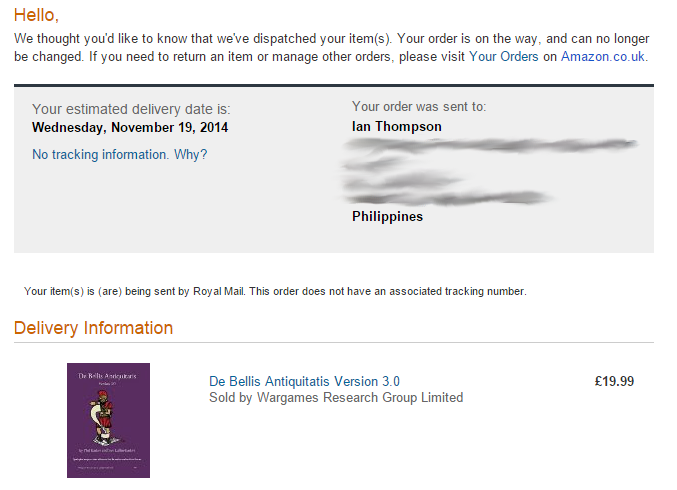 It is the first book I’ve ordered for delivery in Manila so I am curious to see whether there are duties payable or not. There are a couple of other books (actual ones with paper) that I want to get but I think for that order I will have them sent to Mum’s in Oz and pick them up over Christmas. In the meantime, I’m starting to think about DBA 3.0 seriously now and perhaps a December competition in Kuala Lumpur on the way home to Oz for Christmas! My old mate Bill Madison, designer of the odd game such as Dawn of the Rising Sun — the Russo-Japanese War (and one of my favourites I must admit) and self confessed tragic of the history of the Russian-Japanese War of 1904-1905 (see the Russo-Japanese War Research Society) has turned his hand to writing rules for one of my favourite periods of naval warfare — the pre-Dreadnought period. 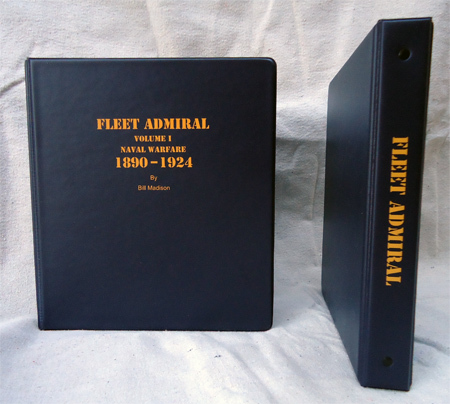 Fleet Admiral – Volume 1 Naval Warfare – 1890-1924 is a set of naval wargame rules designed specifically for that period starting about 15 years before the appearance of HMS Dreadnought and running to 1924, when aircraft started to play more of a role in naval warfare other than perhaps as interested observers and spotters. At the start of this period, admirals envisaged ship combats based around a range of 4,000 yards ship-to-ship and by the end of this period, lessons had been learned and big ship guns were opening fire at ranges hitherto thought impracticable. The rules are divided into a number of broad sections – based on general principles; an example game outlining the various rule mechanisms; specific rule sections covering things such as movement, firing, torpedos, damage and such; and finally a section of tables and charts for use during the game. The rules themselves adopt a couple of principles that we have generally moved away from. For example, recent rules have adopted the “I go, you go” method of movement (or variations on that) and cumulative damage points affecting flotation, speed and the ability to fight. These simplifications have kept games moving quickly but lose some of the flavour of these queens of the seas battling like the behemoths they were against each other, where a ship can heroically carry on fighting even when pounded to little better than flotsam. The game scale used is either 1″ or 1cm being equal to 1,000 yards and makes the simplifying assumption that a nautical mile is 2,000 yards or 1,829 metres1. This scale gives a sea area for the standard wargames table (6’x4′) of around 860 square nautical miles, and a greater area of course for those gamers fortunate enough to have a larger area available. Fleet Admiral also adopts a variable time scale of three minutes for surface moves and one minute per turn for aerial moves. Simultaneous movement is written into the rules and governed by both sides writing movement and firing orders at the start of each move. This may seem a reversion to the practices of the past but it does add the refreshing dimension of trying to second guess your opponent, an ability admirals of the past either possessed and successfully managed to find themselves in better tactical positions than their opponents or missed. I like this slight, added complication, enabling as it does, for one to do the unexpected and not necessarily to be ground down by all your moves being shadowed by the second player to move. The ships of the time are split into broad bands based on their size. This is a simple way to work out detection and movement but given the amount of smoke generated by the average coal-burning vessel of the time, I would have thought that apart from heavy fogs, the enemy ships were located where there was a big cloud of coal smoke. Admittedly whether or not they were battleships or destroyers was not so clear until the distance had been closed somewhat. As mentioned there is a variable move time and so the sequence of play is 1 or 3 minutes in length and follows the general order of writing orders for movement and/or firing with movement occurring simultaneously; combat; detection; reactive fire phase (for recently detected vessels); and damage control. The rules are explained by an example game (a well known World War 1 battle) which is the next best thing to having someone who knows the rules play with you. They are well cross-referenced. There is also some degrees of specific period flavour or change. For example, from 1910 onwards ships may engage multiple targets with different batteries depending on the number of directors that are carried. Generally more directors give more accuracy. “Melees” — where there is a confused close range encounter with combatants trying to strike each other whilst dodge the other sides launched torpedos. Hits on vessels, whether by torpedo or gunfire, affect different areas of the vessels and have a different effect. For example, a hit on the bow will reduce the speed of a vessel by 1 knot (3 knots of the gun causing the hit was an 8″ or larger gun). A hit on the vessel may destroy a light battery (reducing that fire-power) or main magazine and so on. Hits on previously destroyed areas cause no further damage but may generate more fires. The rules also make allowances for those infernal flying machines, both aircraft and airships and the weapons designed over the period to deal with them. Also dealt with are submarines and various anti-submarine weapons such as depth charges3, paravanes, anti-submarine mortars, ASDIC etc. A series of optional rules also adds further variety and deals with weather effects; the time of year and location (visibility issues); smoke and wind; communications, tactical and otherwise by lamps or flags; mines; and some optional rules from the play-testers. The rules themselves and the example game take up the first 41 pages; pages 42-52 are some scenarios (Asan and Yalu from 1894; Port Arthur, Yellow Sea and Tsushima from 1904; and Cape Sarych, Dogger Bank and the battle cruisers at Jutland from World War 1 amongst others). The remainder of the book has game tables, aircraft details, airship details, weapon details, blank order sheets and ship information cards. The ship information cards that need to be completed before the start of battle will require the gamer to have access to Conway’s or Jane’s or the Internet to find the ship information necessary (speed, armour, armament etc). I played a little test battle on the floor the other night (I haven’t got a wargames table here and double bed was not usable at the time) and the game played well. It was just a couple of pre-dreadnought battleships. It was harder to represent simultaneous movement by myself but it was easy enough playing a scenario from the point where the ships had spotted each other and in the best traditions of navies worldwide, had engaged. I am not sure whether I would try and play out the full Battle of Jutland as a single wargame with these rules (memo to self – paint those fleets) however that battle tended to break down into a number of separate engagements anyway. I can thoroughly recommend these rules as an alternative way of looking at the naval battles of the 1890 to 1924 period in 2014. I also like the fact that these rules specifically consider those pre-dreadnought battleships from the Sino-Japanese War of 1894, Russo-Japanese War of 1904-5 and the Balkan Wars of 1912-1913. Bill is working on a companion set to take naval warfare through the Second World War. 1. Well, it’s not 2,000 yards but rather was supposed to be 1 minute of arc along any of the earth’s meridians. By modern agreement and convention, the calculation of that value now is agreed at 1,852 metres or 6,076 feet (2,025 yards). It is a simplifying assumption Bill makes but it works. Bug’rit – it’ll be 40 x 20 bases. Much as I like the 60 x 30 Polemos bases for Napoleonics (and I am sure I will like the same sizes for ECW, GNW, WSS and any other good three character acronyms I can think of) I think I will stick to the 40 x 20 bases for Ancients. Just seems to work better from my point of view. So there, done, decided, dusted! Now, where’d I put the credit card so I can start buying figures? Bloody Macro and Cato have done it again. I have been having urges to paint some Early Imperial Romans and Ancient Britons after the early books in Scarrow’s series. Then the buggers took on the pirates off the Illyrian coast and I started looking for my triremes. Then the dynamic duo hit the desert in Judea and I was starting to think about Parthians as well. After starting Centurion I want to add Palmyrans to that list. Scale is not a problem, I will do these sometime this year in 6mm using either Baccus, Heroics and Ros or Rapier Miniatures. My problem is deciding on the rule system to use and therefore the basing. My initial thoughts were to base the figures up for Warmaster Ancients which means 40mm x 20mm bases. It also means that the bases will work well for DBA and Big Battle DBA as well. However, the guys down in Canberra are basing at 60mm x 30mm and using the figures to play Principles of War Ancients (PoWA). I believe also that Baccus has plans to release a version of Polemos for Ancients at some time in the future and these will likely use the same 60 x 30 basing. I’m torn between 40 x 20 and 60 x 30. Less figures are needed for 40 x 20 and they look good but 60 x 30 will fit more likely opponents. I guess it’ll be 60 x 30 then – although I have a few weeks or so before I need to make a final decision and order some figures. 40×20 … 60×30 … bloody Macro and Cato! Spartan Games have released a game called Uncharted Seas. Their website (linked above) provides details of the rules and the models. It is fantasy naval wargaming almost of a galley nature. As in all things fantasy, the actual industrialisation of everything is kind of a mix. I loved Games Workshop’s Man ‘o’ War – great rules and really fun little vessels and I kind of regret not keeping my copy of all that stuff before I went off overseas. However, looking at the Uncharted Seas from Spartan Games, I may have found something that almost lets me consider fantasy naval wargames again (as compared to say, Victorian Science Fiction naval games which is a whole different genre). Uncharted Seas is played at a nominal scale of 1/600th (about 2mm size). There is a gallery showing some nice pictures of this sort of stuff in between pictures of other wargame figures on the Spartan Games Gallery Page. Now, if I can just find someone who has played them and can give me a good unbiased overview of them, I may be tempted to part with some “readies” next pay day.